It's a cute complex with a friendly and welcoming feel. submitted by Cymone S. - Nov 03, 2015 |Recommended: YesThe staff are very kind, the apartments are small but very doable, the walls are way too thin. Lovely place to livesubmitted by Elysia D. - Aug 03, 2015 |Recommended: YesQuiet, nice place to live. Staff is always pleasant. I really enjoy living here. The only thing that could make it better is in home laundry. The property is well kept and clean Very nice submitted by Emily V. - Jun 01, 2015 |Recommended: YesMy only issue is that I can hear every step my upstairs neighbor makes. Other than that, noise isn't too much of an issue. I can't hear them through walls or anything The staff os very friendly and relaxed about everything. I am definitely enjoying living her. Beautiful area, okay apartmentssubmitted by Elizabeth W. - Apr 30, 2015 |Recommended: NoI moved here four years ago. Every year that I have been here my rent has gone up. The apartments are nice but overpriced. I like the neighborhood. People are nice for the most part but you can hear everything in the apartments around you and in the hallways. People are not considerate of their neighbors. When my lease is up, I will be moving. Nice and Quietsubmitted by Anthony L. - Apr 02, 2015 |Recommended: YesThe staff is all friendly and the grounds are kept well. The residents are all very nice and pick up after themselves in general. A nice place to live and convenient to Westminster and the College. It s affordablesubmitted by Jarod C. - Apr 01, 2015 |Recommended: YesNice apartments with just a couple of issues. It seems that there is no sound proofing, or anything to block the weather, in the windows. I can constantly hear cars simply driving on Royer Rd, and anyone's conversation when they walk near my apartment. Beautiful apartments full of sunshine and an amazing staff.submitted by Robin P. - Jan 09, 2014 |Recommended: YesI love it here! Maintenance is both efficient and helpful. They swept snow and salted the sidewalk at 8 pm on a Saturday night so I could get my wheelchair out. The office staff is also wonderful. Lynn and Barbara are both joyful and excellent at their jobs. Best place in town!submitted by Richard B. - Nov 07, 2013 |Recommended: YesA cheery, peaceful, quiet haven that I am always pleased to come home to. Safe, well cared both inside/out, wonderful customer servicesubmitted by Deborah B. - Oct 11, 2013 |Recommended: YesOverall, very nice. My only complaint is that I can hear my neighbors more than I would like. Nice neighborhood with caring staff.submitted by Andrea H. - Sep 02, 2013 |Recommended: YesBest apartment community in the area. It feels like home!submitted by Deborah B. - Aug 18, 2013 |Recommended: YesIt's quiet and the maintenance guys are always friendly and helpful. The office staff is wonderful and very accommodating, too. It's great to have a workout room on site for easy access. Other residents are very respectful of your privacy, yet friendly when you see them.  I enjoy living at Meadow Creek Apartmentssubmitted by Deborah B. - Jul 18, 2013 |Recommended: YesIt's very nice. Clean, friendly...nice!